Blizzard is once again supporting the Make-A-Wish Foundation this year by offering up a charity pet for World of Warcraft players. 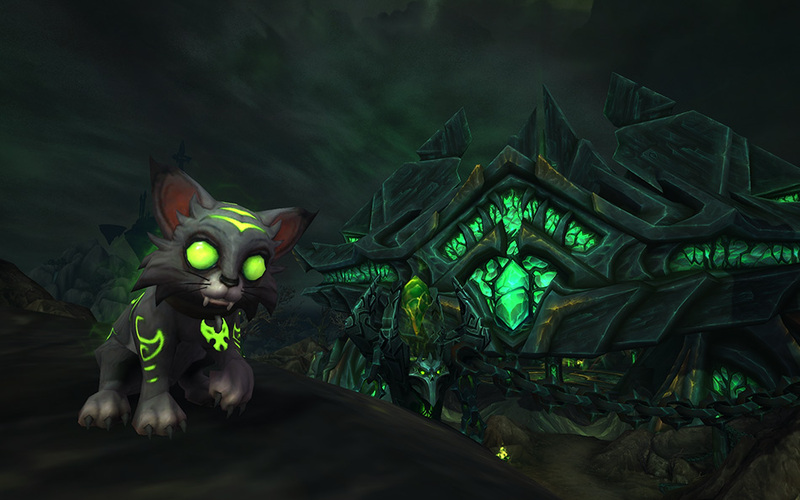 It’s the absolutely adorable Fel Feline, Mischief. I have to say this one ranks up there with the Molten Corgi handed out as a tenth anniversary gift. Then again, I’m a crazy cat lady, so, yeah. Previous charity pets include the Pandarian Monk, an Enchanted Fey Dragon mount and the Alterac Brew Pup. There have been others, but those are just a few examples. More information on the fel-kitty will be revealed at a later date on the official World of Warcraft website. Starting December 1 through the end of 2016, those who purchase Mischief from the World of Warcraft shop will be contributing to the charity. 100% of the proceeds will be given to Make-A-Wish which aid children with life-threatening medical conditions worldwide.